Welcome to Sportskeeda's Cricket News Today, a section that covers a summary of the trending news topics of the day in the world of cricket. West Indies beat Bangladesh by four wickets to level the three-match series 1-1, thanks to an unbeaten 146 from Shai Hope in a chase of 256. Apart from this, both India and Australia travelled from Adelaide to Perth ahead of the second Test. For fans, however, be it a match day or even a boring, non-match day, there are loads to catch up on the cricketing front with updates from around the world. Here are some of the headlines from the world of cricket. 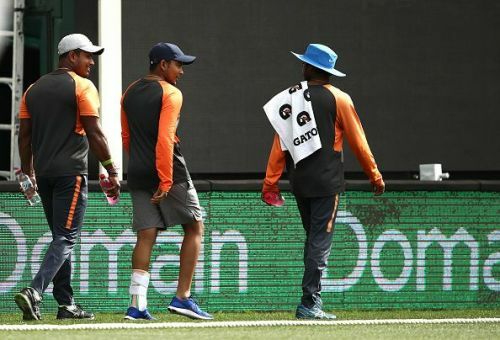 Indian batsman Prithvi Shaw, who injured his ankle during the warm-up game against Cricket Australia XI, is on the road to recovery ahead of the second Test match between Australia and India at the Optus Stadium in Perth. The Mumbai teenager was seen wearing a protective brace on his left ankle while jogging around the Adelaide Oval on Monday ahead of the final day's play of the first Test. However, the Indian camp is still uncertain about his availability for the second Test which begins in a couple of days' time with a return in the boxing Test (December 26) at MCG more likely. Coach Ravi Shastri told cricket.com.au, "With youth on his side there might just be a case where he might recover quicker. We'll make a call as and when we get closer to Perth."